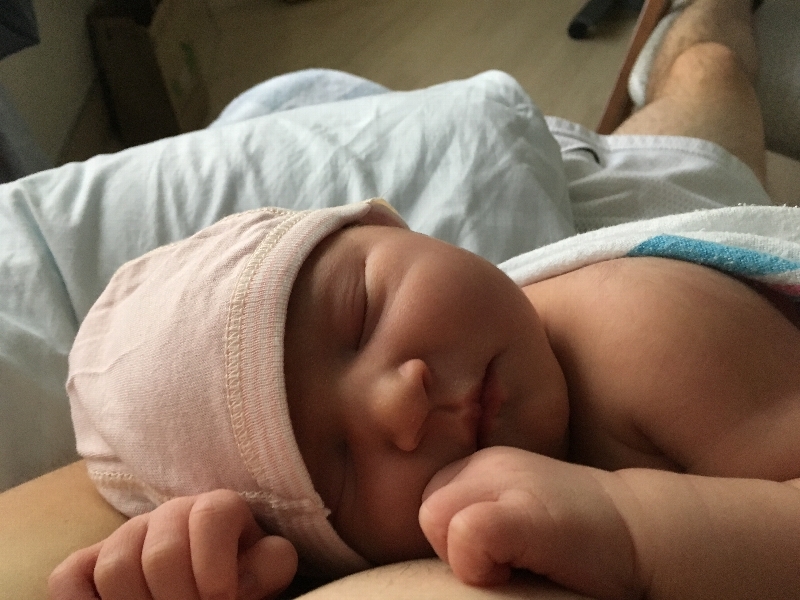 On June 17th, 2018 our beautiful feisty darling daughter, Ayla Gunner Prushansky, was born term at 1137pm after only 97 minutes of natural labor. 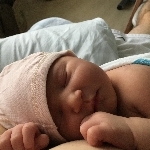 She was born on Father's Day and what a gift she was. When it came time for us to be discharged home Ayla failed the standard Cardiac Discharge Screen, her oxygen levels pre and post (oxygen sent to the brain and to the body) were not matching, therefore, she was moved to the neonatal intensive care unit at Cedars-Sinai Hospital. We were told that it appeared she had a case of PPHN, persistent pulmonary hypertension of the newborn. 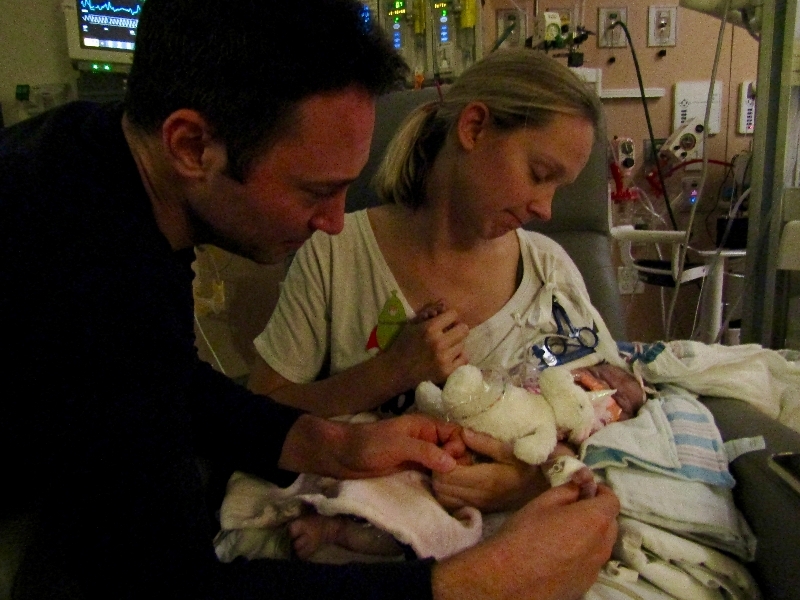 Days went by in which Ayla seemed to be improving clinically but her echo-cardiograms were getting worse. We chose to move her to Children's Hospital of Los Angeles. Shortly after the move Ayla's condition deteriorated quickly. She ended up intubated and on ECMO (an external artificial heart-lung bypass machine). Although Ayla had no identifiable physical issues, her lungs were just not sufficiently oxygenating her body. Ayla was given a diagnosis of Alveolar Capillary Dysplasia. Alveolar Capillary Dysplasia is a genetic condition in which there is a deletion or mutation of the FOXF1 gene within Chromosome 16. Ayla's genome sequencing of the FOXF1 gene came back positive for a single point mutation responsible for her ACD. The only option for treatment of ACD at this time is a bilateral lung transplant. Our search for hope lead us to pursue the possibility of a bilateral lung transplant through CHOP, one of the only two children's hospitals in the United States that perform such an operation. Unfortunately, Ayla fought hard for four weeks but died on July 16th, 2018 in my arms holding her father's hand. In CHOP, we found a partnership with Dr. David B. Frank, MD, PhD. He was a full-fledged member of Ayla's care team and has advanced knowledge of ACD and an avid researcher for treatments and cures of multiple pediatric pulmonary vascular diseases. It became fully evident to us that CHOP is going to be the place where historic breakthroughs in pulmonary vascular disease will happen. Dr. Frank is leading the charge to make a brighter future for babies born with no hope. 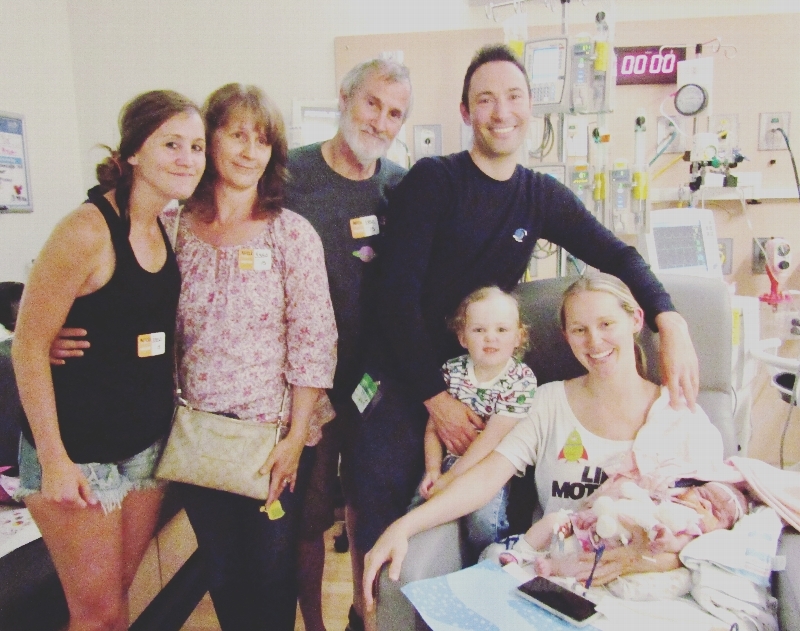 We established a fund in Ayla's honor through CHOP to advance Dr. Franks efforts in researching pulmonary vascular diseases to provide families like ours with hope and options. Helplessness as your baby fights for their life and the eventual loss that follows is something that no family should have to endure. The funds raised will be used to propel science forward to provide life-saving therapies for these horrific pulmonary vascular diseases. Please consider joining us in the fight to help these precious angels stay with us here on earth. Philanthropy is essential to establish the world's most advanced translational discovery program for the kinds of diseases that took Ayla's life. Our vision in creating and growing the Ayla Gunner Prushansky Fund will ensure that your gift will have an impact on future generations of children and families like ours. To flourish, translational research requires a knowledge-driven ecosystem, where experts generate, contribute, manage and analyze data available from all parts of the landscape. This type of research is the cornerstone of CHOP's 163-year-old mission and globally-renowned excellence across pediatric medicine. CHOP is uniquely positioned to accelerate the translation of basic science into applicable clinical knowledge. Breakthrough discoveries are often developed with funding from generous donors like you. We thank you from the bottom of our hearts.